We're very lucky to have Mel on our team - a seasoned operator with over two decades of experience in the hospo industry, she's already made her mark by revamping our systems and taking charge. She helms the function side of things at the Hotel and is the person you'll be dealing with when you book your event. Welcome aboard Mel! 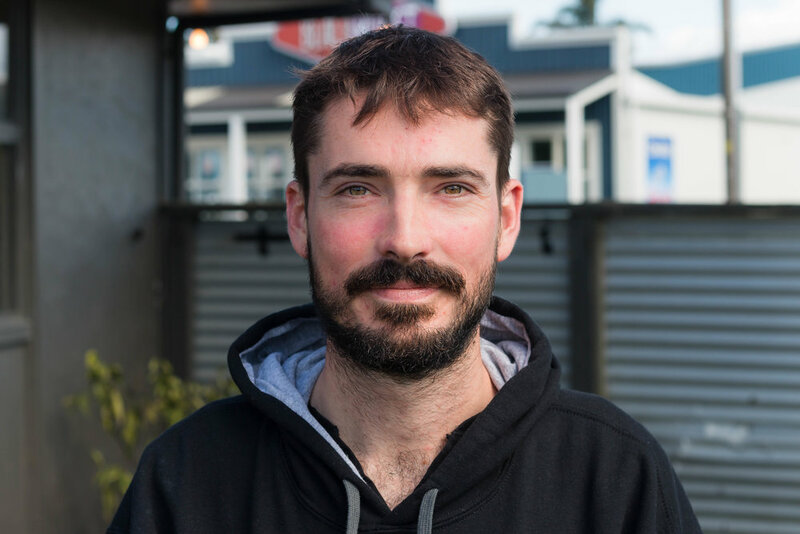 Josh, along with wife Amy, has been a part of the Waihi Beach Hotel for over three years, cementing his role as a key staff member. Josh comes with a wealth of knowledge from a lifetime in the hospitality sector, and nothing is ever too much. Josh epitomises efficiency, and we're lucky to have him. As with husband Josh, Amy is a vital asset to our team, and she too comes from a background in hospitality. She's the mastermind on everything liquid at the Bistro, constructing delicious drinks that is characteristic of our establishment. You will usually find Amy helming the morning shifts, making great coffee and giving everyone warm smiles on arrival. Laura is a recent addition to our Bistro team, but has immediately proved herself to be a hard-worker and a team player, which is essential in our industry. Laura is a jack-of-all-trades, and can sometimes even be seen behind the bar at the Pub. You'll find her working here on the weekend. Loren is also a relatively recent addition to our team. Loren generally works the busy shifts on Friday and Saturday, but doesn't mind lending a hand when required. She's a hard worker and isn't afraid of getting stuck into anything that is required of her. Caleb has been working at the Bistro off-and-on for several years. He is the younger brother of Amy (the owner) and helps out whenever he can. He is beginning his building apprenticeship soon, so you’ll see Caleb over particular busy weekends. He is a legend on the coffee machine! The Bistro snapped her up to be part of their Team due to her smiley face, positive attitude and hard work ethic. You’ll see Jess, mainly in the mornings, throughout the week and weekend. Jess dapples in a range of art and this shines through when she makes drinks on the Bistro side. Charlotte was meant to stay with us for a few weeks over the busy summer period and somehow we convinced her to hang around! Charlie is from France and came to NZ to work and explore. Her next adventures will take her on to Canada!